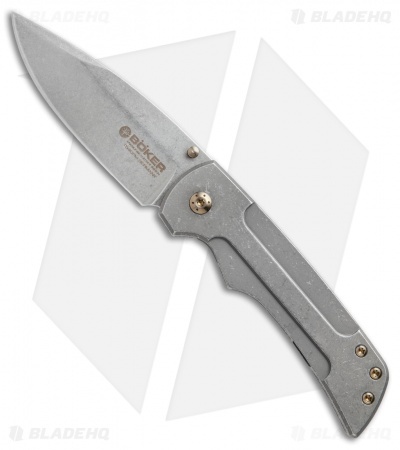 Boker joined forces with S.K. Knives' Steve Kelly to bring you the tough-built Gulo folding knife. 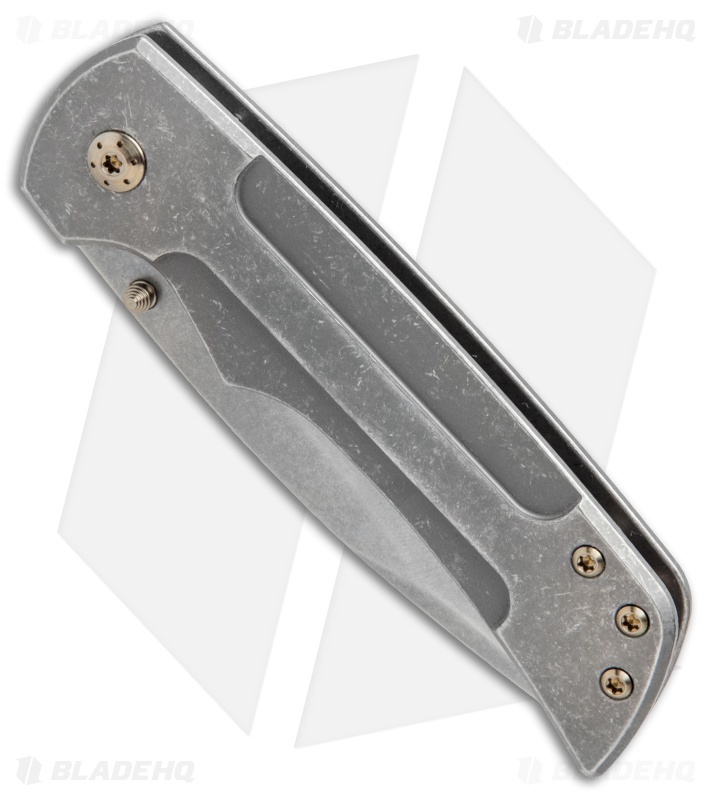 Steve Kelly's titanium frame-lock knives represent the peak of craftsmanship and functional design. The Gulo is outfitted with bronze anodized titanium hardware, pivot and a thumb stud from Ti-Connector. It has a powdered CPM-154 blade with a stonewashed finish and a plain edge. A titanium pocket clip finishes off the outstanding design. Powdered CPM-154 steel provides a tough, corrosion resistant blade. Full titanium construction with bronze anodized Ti hardware, pivot and thumbstud from Ti-Connector. 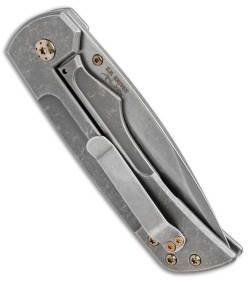 Ball bearing pivot offers smooth opening for effortless blade deployment.